The Permanent High Court-at-Bar set up to hear high-profile financial frauds and corruption cases has issued summons on former Defence Secretary Gotabhaya Rajapaksa and six others, directing them to appear before court on September 10. This is in connection with the construction of the D. A. Rajapaksa Museum and Memorial in Medamulana using LRDC funds amounting to Rs.48 million. The Trial-at-Bar Bench comprising High Court Judges Sampath Abeykoon (President), Sampath Abeykoon and Champa Janaki Rajaratne made this order pursuant to the indictments filed by Attorney General. 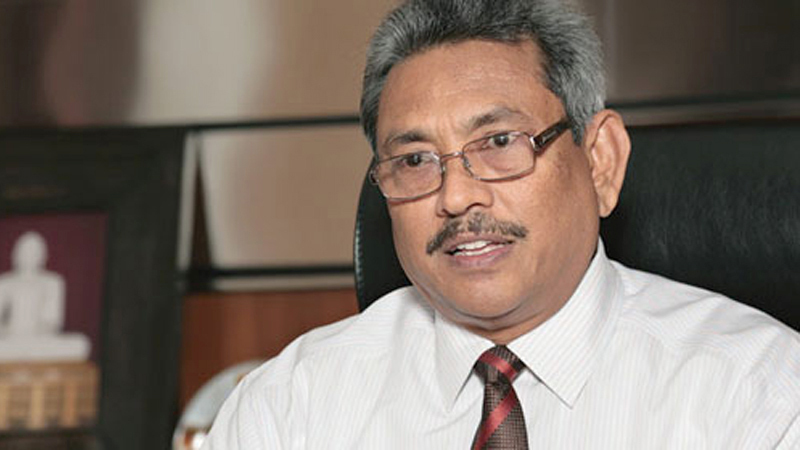 The indictments were filed against four accused, former Defence Secretary Gotabhaya Rajapaksa, members of the Director Board of the Land Reclamation and Development Corporation (LRDC), Chairman Prasad Harshan de Silva, Bhadra Udulawathi Kamaladada, Sudammika Keminda Artigala, Saman Kumara Abraham Galappatti, Devage Mahinda Saliya and Srimathi Mallika Kumari Senadheera under seven counts for the alleged misappropriation of LRDC funds. It had revealed that the Navy had provided manpower for the construction on the verbal instructions of former Defence Secretary Gotabhaya Rajapaksa and on the written instructions of then Land Reclamation and Development Corporation (LRDC) Chairman Harshan de Silva.